You’ve got the dress, the décor is all set, the vendors are all hired, but one thing’s missing: your hairstyle for the big day. If you haven’t decided yet on the perfect hairdo to say ‘I do,’ then you may want to give these bun hairstyles with detailed steps and pictures a try – our curated list includes everything from the sweetest braids to messy buns for the bohemian brides, all delicate and romantic, just like you. Begin by making a sleek, high ponytail. With the help of a thin comb’s handle, take out a section of your hair from the front, either from the left or right side (but not both sides). Then, proceed by braiding this front section with your ponytail in desired style. 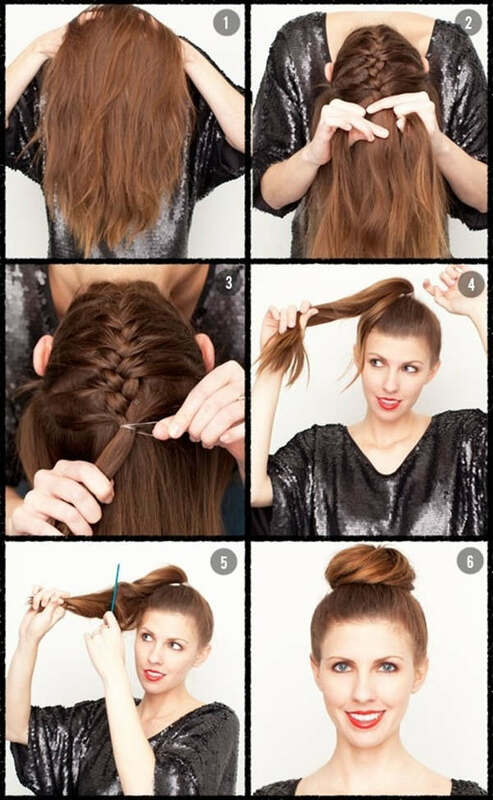 Finally, wrap the braid around the bun and secure it with bobby pins. Place a headband in the desired style on top of your hair, but leave out a few wisps for a romantic look. Then, gently bring your hair upwards in a circular movement. Next, secure it under the headband. For extra safety, use bobby pins as well. Optional: place a braid on the side. 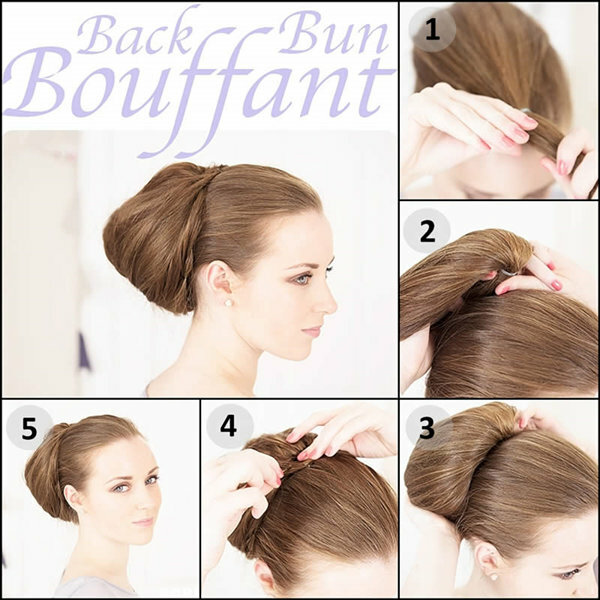 When looking for a bun hairstyle with detailed steps and pictures, this one will certainly catch your eye. It is easy to do, romantic and takes only 5 minutes to create. Begin by curling your hair with the curling iron. 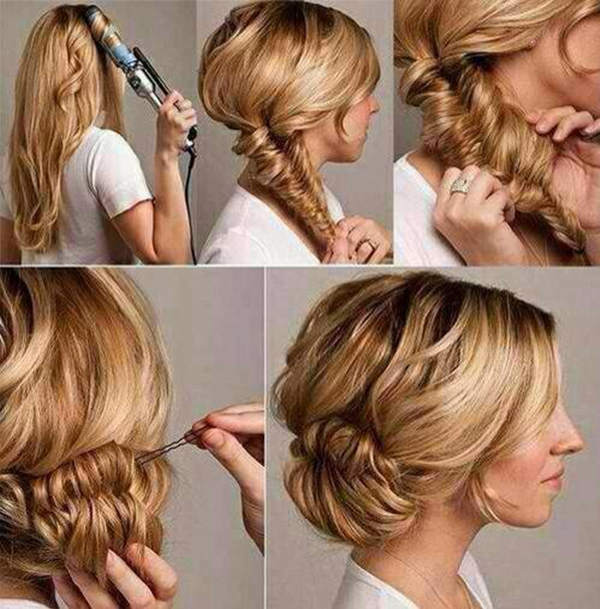 Then, braid it in the desired style. Once you’re done with the braid, secure it with a clear elastic. 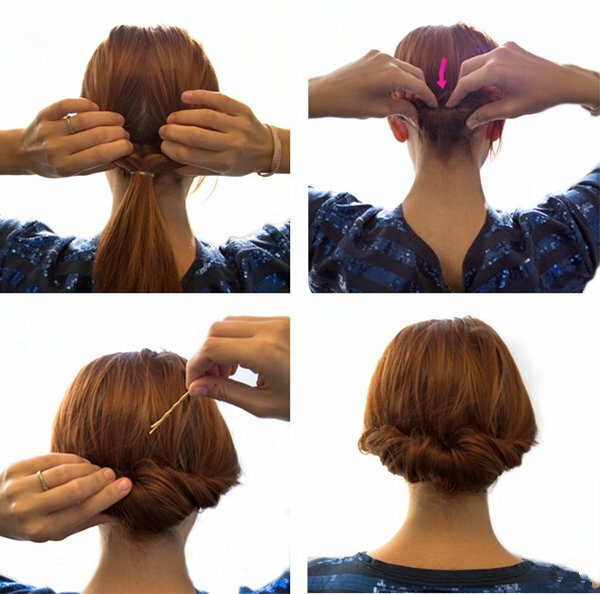 Finally, create a low bun using your braid. Begin by using a lot of texturizing products in order to reduce the smoothness of your hair. That’s right - this hairstyle requires a dry texture. Then, back-comb your hair at the crown of your head. Next, apply a texturizing paste and roll your hair around your fingers until you form a nest-like look. Finally, secure it with bobby pins and hairspray. First, create two high pigtails. When you are done braiding them, secure each with clear elastics. Next, twist the braids in order to create an unconventional, but cute and romantic little bun. First, pull your hair into a tidy low ponytail. Then, pull the hair right above the elastic into two parts and create a hole. Next, roll and tuck the ponytail through the hole you created. 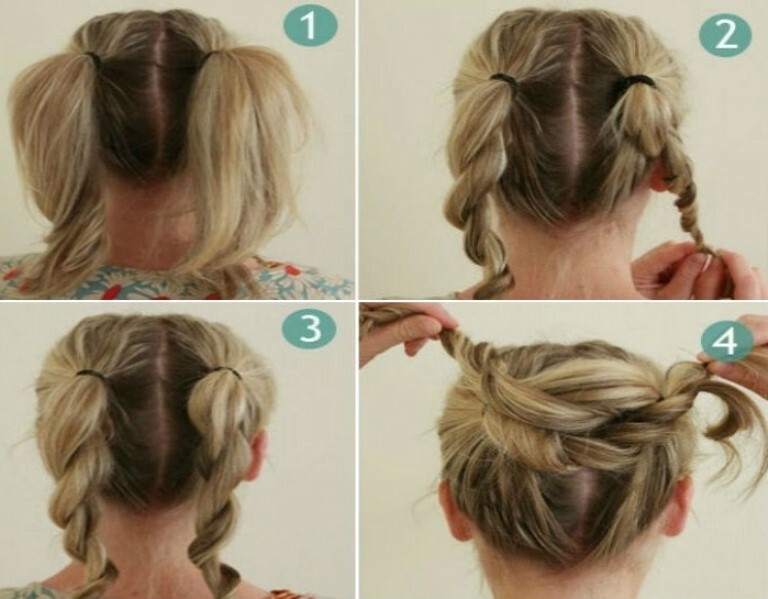 Now, loop it again until you reach the ends of your hair. Finally, secure the bun with pins. First, start by backcombing your hair in order to create a lot of volume on top. Then, make a sleek high ponytail and also secure your hair ends with another elastic band. Next, tuck your ends inside the hairpiece and pin them in place creating a bouffant, rounded shape. No list featuring bun hairstyles with detailed steps and pictures is complete without this elegant updo. First, start by creating a very high ponytail right on top of your head. As this style is on the classic side, you’ll need to make sure all your hair is sleekly pulled up. Then, backcomb your hair for extra volume. 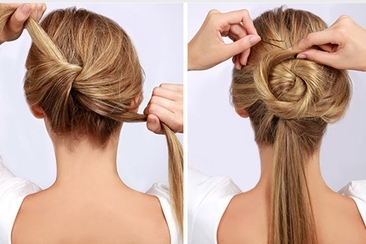 Next, twist your ponytail in a circular shape around the elastic. First, create a low ponytail while leaving out 2 sections of hair at the front (one on each side). 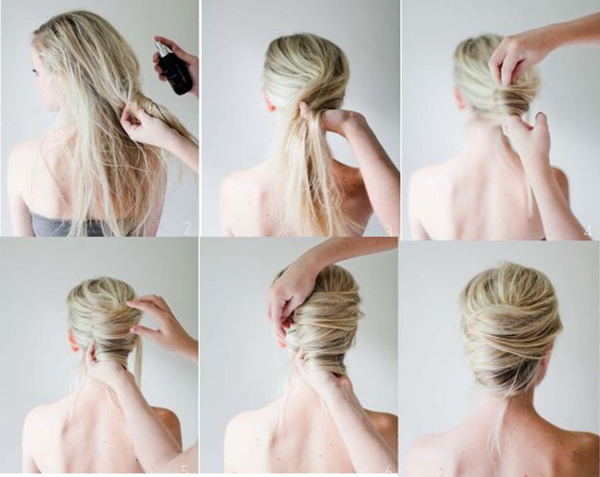 Then, create a small bun with the ponytail at the back of your head. Now, take each front section and pin it under the bun. First, begin by dividing the hair into three sections. Then, braid each section individually. When you are done braiding the different sections, combine all 3 braids in a bun as you please. There are various ways to do this and have it look amazing, so get creative! First, start with a top-of-the-head ponytail. Then,twirl your hair until you create the desired effect. 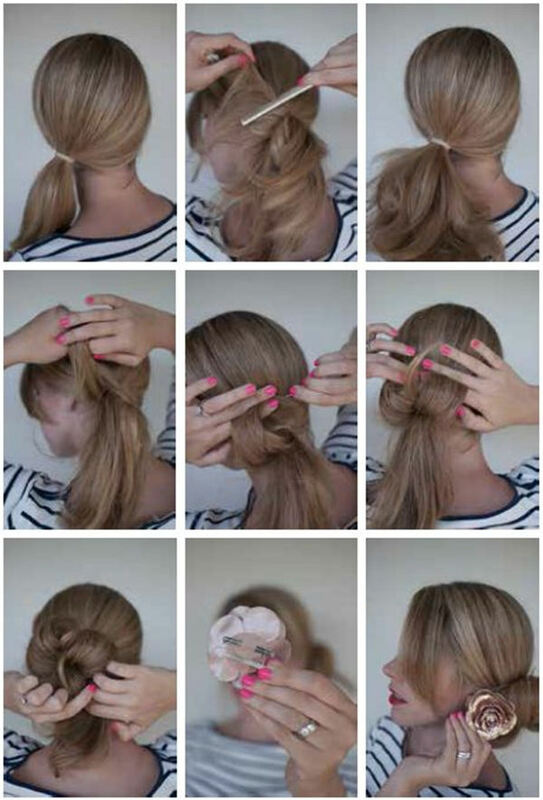 Next, form a bun using the twisted ponytail and secure with bobby pins. Finally, sse hairspray to tame down flyaways. First, start by flipping your head upside down. Then, braid your hair from the back up. Next, secure the braid with an elastic and lift all your hair up to create a ponytail. After this step, you’ve got different options to create the bun you desire, but the glamour is definitely guaranteed from the back! 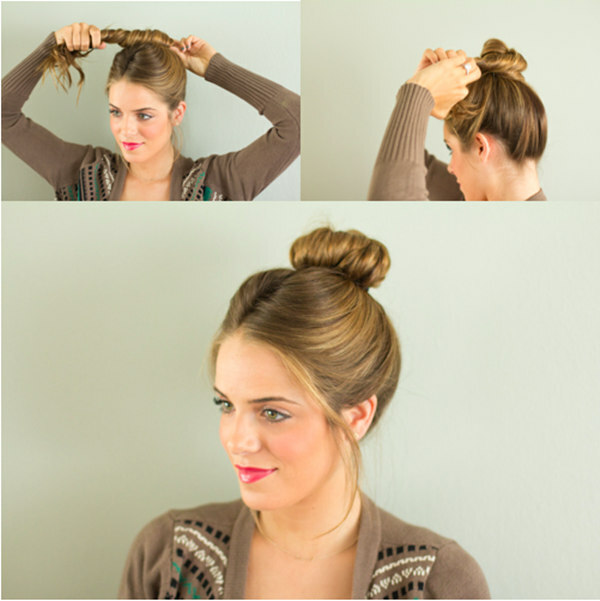 This easy hairstyle deserves its place on our list of bun hairstyles with detailed steps and pictures. First, create a simple low side ponytail. Then, make a low ballerina style bun or twisted bun. Finally, for extra glam, add a hairpiece on the side. Begin by dividing your hair down the middle. Then, create a Dutch braid on the left side to the back. Now, repeat the same process on the right side. Next, tie the two braids in a half knot. Finally, secure it with lots of bobby pins. First, collect your hair and pull it into a high ponytail. Then, twist it all into a half bun, more or less. Now, twist the rest into a small bow on the side of the bun and pin it tightly. 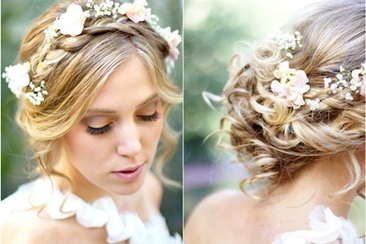 Such a sweet and delicate look that will be perfect for a spring or summer wedding! Picking the right hairstyle to wear on your daughter's wedding day is easy with our selection of versatile hairstyles for mother of the bride that fit all face shapes. Check now! 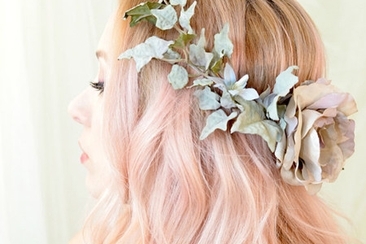 Looking for the best ideas on wedding hairdos? Take a look at our list of updo hairstyles with steps, filled with easy to follow instructions and pictures! wedding hairstyle for brides with short hair helps you show everyone that you are not any ordinary bride! Choose from 20 beautiful and elegant styles that are out of this world on the special day. 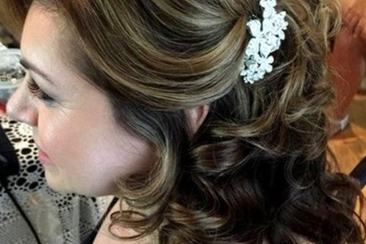 Choosing the right wedding hairstyles for medium hair is easy with our handy guide. Check out our top 19 looks, perfect for every style of bride. An elegant and classy wedding look can be achieved with the addition of a simple updo hairstyle and veil. 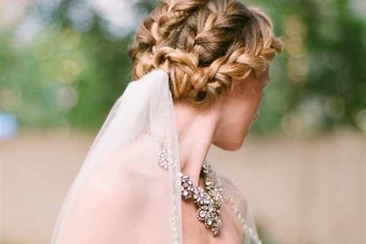 Here are top 10 updo hairstyles with bridal veil both on top and underneath. Server responsed at: 04/21/2019 11:12 p.m.